Negotiation teams met on Wednesday, June 07, 2006 from 11:30 a.m.-2:30 p.m. and continued negotiation process. The teams will meet again on Monday, June 12, 2006 at 8:00 a.m. Negotiation teams met on Wednesday, May 31, 2006 from 1:00 p.m.-4:00 p.m. Interests were brainstormed and categorized to fit within the scope of re-opener negotiations. The teams mutually agreed to have an additional negotiation session on Wednesday, June 7, 2006 from 11:30 a.m.-2:30 p.m. and the teams will meet on that date. 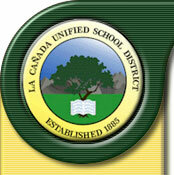 CSEA and LCUSD negotiation teams met on May 23, 2006 to continue the negotiation process. The next meeting is scheduled for May 31, 2006 . CSEA and LCUSD negotiation teams met for the first negotiation session on May 17, 2006 from 8:30 a.m. to 1:00 p.m. The teams agreed to ground rules; budget information & global interests were shared. The next session will be May 23, 2006 from 1:00p.m. – 4:00 p.m. Both teams feel positive about today’s outcomes and the negotiation process.